Our vineyard is located in Colombé-le-sec, in the wine-growing area called “the Barsuraubois”, and covers more than 17 hectares, predominantly vines from Pinot Noir. We are also growing Chardonnay and Pinot Meunier vines for the blending process. 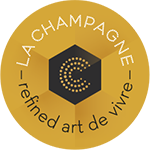 Everything we do at Champagne Nicolo & Paradis is in harmony with nature and we pay particular attention to using sustainable methods. Tried and tested approaches from over the years give our wine an amazing depth and keep our vineyards the heart of our community. Our Nicolo & Paradis vineyard enjoy all the benefits of a southern exposure from the ancient soils of the Cotes des Bar Terroir composed of chalk, marl and limestone proper. Our Grapes are hand harvested and stored with care and attention. Our Wine is stored for at least three years to develop into the notable Nicolo & Paradis pedigree. 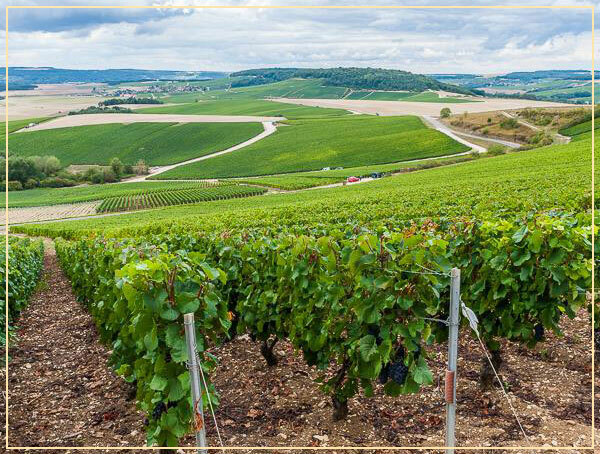 The Côte des Bar is in the southern part of the Champagne area, characterised by a warmer climate and a subsoil which predominantly provides good drainage and imparts that particular mineral flavour. The three major features – climate, subsoil and relief – create a mosaic of micro-terroirs affecting the characteristic qualities of the grapes and therefore the wines and their delicate balance of ripeness, acidity and berry aroma potential. The Pinot Noir is the predominant grape variety on the Côte des Bar where the cool, chalky terrain suits it perfectly. It is the Pinot Noir, a red grape wine variety, that adds backbone and body to the blend, producing wines with distinctive aromas of red berries and good structure. The Pinot Meunier is a robust black wine grape variety which shows better cold-weather resistance than the pinot noir and is particularly well suited to more argillaceous soils. The Pinot Meunier adds roundness to the blend, producing supple, fruity wines that tend to age more quickly than wines made with the other two varieties. The chardonnay is a green-skinned grape variety and yielding delicately fragrant wines with characteristic notes of flowers, citrus and sometimes minerals. Being slower to develop than the other two varieties, chardonnay produces wines that are built to age. We are very proud to have kept some Pinot Blanc Vrai vines in our vineyard, an ancient approved varietal. We use this selective and rare white wine grape in our exclusive Cuvée Excellence.